It is true, no hoax. I know “about” where the Garden of Eden is located. Ok, ok, it may not be exactly, but definitely the neighborhood. After a thorough search and a lot of study we have been able to narrow the possibilities down to one key region. In the past it was thought the Garden may have been located in what is now Iraq between the Tigris and Euphrates Rivers. There is still speculation that this area may have been the site of the building of the great tower that led to a “babel” of languages. But we now know the truth! Let me explain. originated in Africa. While there is some doubt as to the exact location (some are holding out for South Africa while others agree that it was probably East Africa) there is a growing consensus that we are all African in origin. God gave the command to Adam to go and populate the world shortly after his creation (Gen. 1:28). It was evident that God had a mission for His creation and that it called for us to be busy about His work. While there was some hesitation and delay, Adam and Eve’s dependents began to head out of Africa to populate the globe. Once again God is calling on Africans to go forth in maturity to fulfill a mission. Matthew 28:19,20 (the Great Commission) gives us the clarion call of Jesus to Go and be about the Father’s business of making disciples. Just over a decade ago the continent of Africa was called the “Hopeless Continent” . 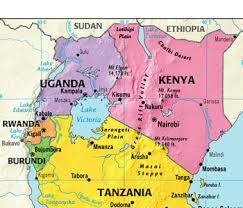 But now across the web and across the world Africa is being viewed as the continent of hope and potential. Global Christianity is also seeing something new and fresh. Just a few weeks ago I had the privilege to participate in a missions conference in one of the state capitals of Nigeria. What made it a bit unusual was that it was organized and paid for by a local church. Over 1,500 leaders from 15 countries joined together to work out strategies for completing the Great Commission in their generation. Most of the speakers and workshop leaders were African. It was an encouraging time of witnessing what has begun in Africa. Once again God is calling on the children of the new Adam to move out of Africa on mission to complete what so many others have contributed to but failed to complete: fulfilling the Great Commission. It is poetic that as the first Adam moved out to physically populate the earth now the representatives of the last Adam are going forth with the message of a new birth to populate heaven and bring forth a people from every tribe, tongue and nation to worship our God (Rev. 7:9). Wow!! Great!! Thanks for the share!! It was an interesting post!